Man United join Liverpool in the race for ‘this’ England youngster: Who will sign him? Man United have joined the likes of Liverpool and Bayern Munich in the race to sign Chelsea’s Callum Hudson-Odoi. The winger is currently one of the hottest young talents in the Premier League but like most youngsters, Callum Hudson-Odoi has been struggling to find game time at Stamford Bridge. This season, the 18-year-old has played in only six Premier League games and for the past couple of months, Bayern Munich have shown a steep inclination towards signing him. Chelsea have already rejected a bid from the Bavarians but Bayern are surely going to return at the end of the season. During the past couple of weeks, Liverpool have also joined the race to sign Hudson-Odoi and now if the latest reports are to be believed then Man United too want to sign him. 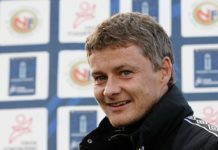 Ole Gunnar Solskjaer is likely to be named the permanent Man United manager by the end of the season and the Norwegian will also get a big transfer budget. 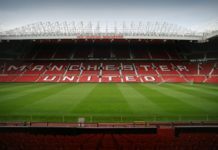 Players like Alexis Sanchez, Matteo Darmian and Marcos Rojo are expected to leave during the summer which means some new faces are surely coming in. Liverpool have shown a strong inclination towards signing Hudson-Odoi ever since Real Madrid have been linked to Sadio Mane and Jurgen Klopp right now is looking at the Chelsea youngster as Mane’s long term replacement. It still remains to be seen if Chelsea are willing to sell off the 18-year-old to one of their direct rivals. The fact that the Blues would be inclined to send Hudson-Odoi as far as possible automatically puts Bayern Munich in the driver’s seat. But the likes of Man United and Liverpool have money to spend and a big offer from either this club could very easily change Chelsea’s mind. Read: Football pundit brands ‘this’ Man United man as ‘untouchable’. Read: Former Man United boss aims a subtle dig at Klopp and Pochettino. Read: Man United receive a major injury boost right before they take on Barcelona in the UCL. Previous articleHas ‘this’ key West Ham man injured himself during international duty?